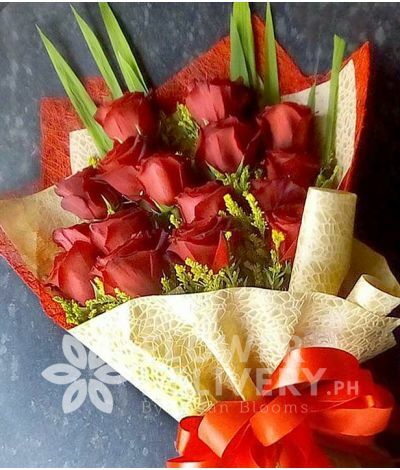 A round boquet consist of 16 pcs. ecuadorian red roses..
A 8x12 chocolate cake with fudgy chocolate icing and topped with colorful sugar confetti and 75.. The product consists of 750ml. of Novellino Rosso Vivace wine.. The product consist of 750ml. Novellino Luscious Peach wine..